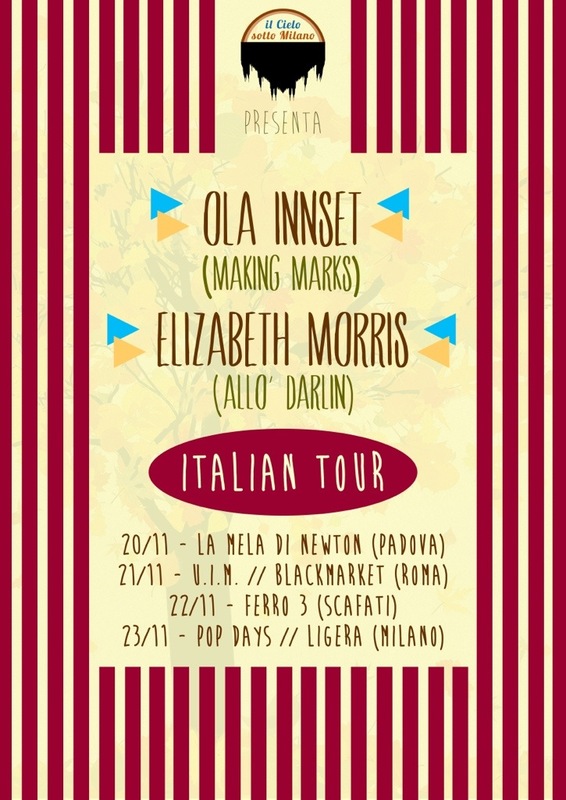 Also, in Italy next month Elizabeth will be playing some solo acoustic shoes with Ola from Making Marks playing solo too. They’ll be playing in Roma, Padova, Scafati and Milano together. This entry was posted in tours on 20 Oct 2013 by Allo Darlin'.